It is almost impossible to find an original Rolex watch with a transparent crystal (sapphire or mineral) case-back. In general, all flagship watch models from the legendary Swiss watch manufacture feature solid metal case back whereas other luxury watch brands provide sapphire crystal case back for their watches so that the owner can admire the beauty of mechanical movement beating inside. Many people believe that Rolex never produced watches with transparent glass case back. But it is not the truth. To confirm this, let us go through the details of a watch model named Cellini Prince. 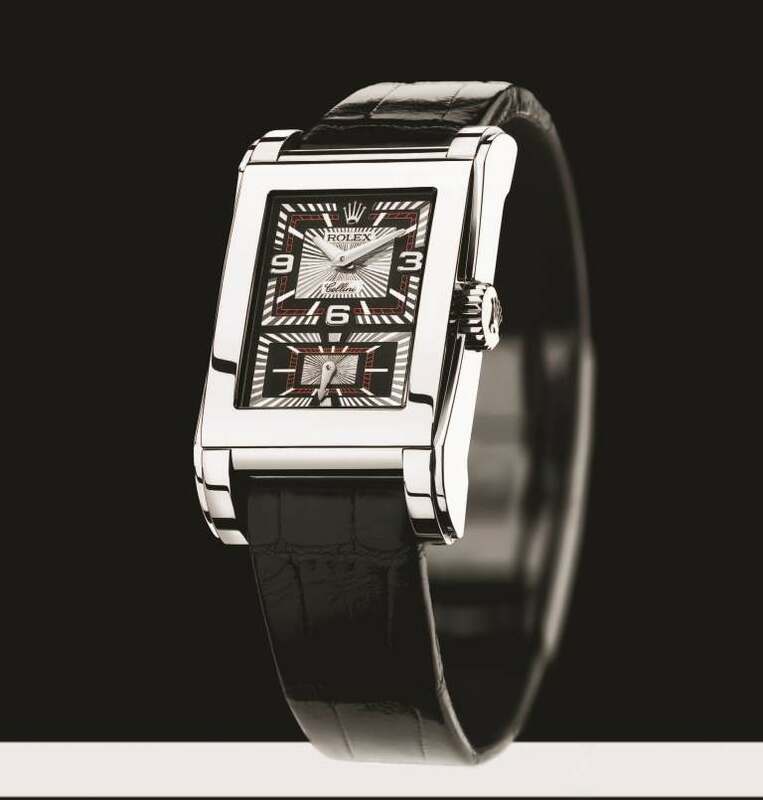 Introduced in 2005, the Cellini Prince watch features an in house fitted sapphire crystal case back. 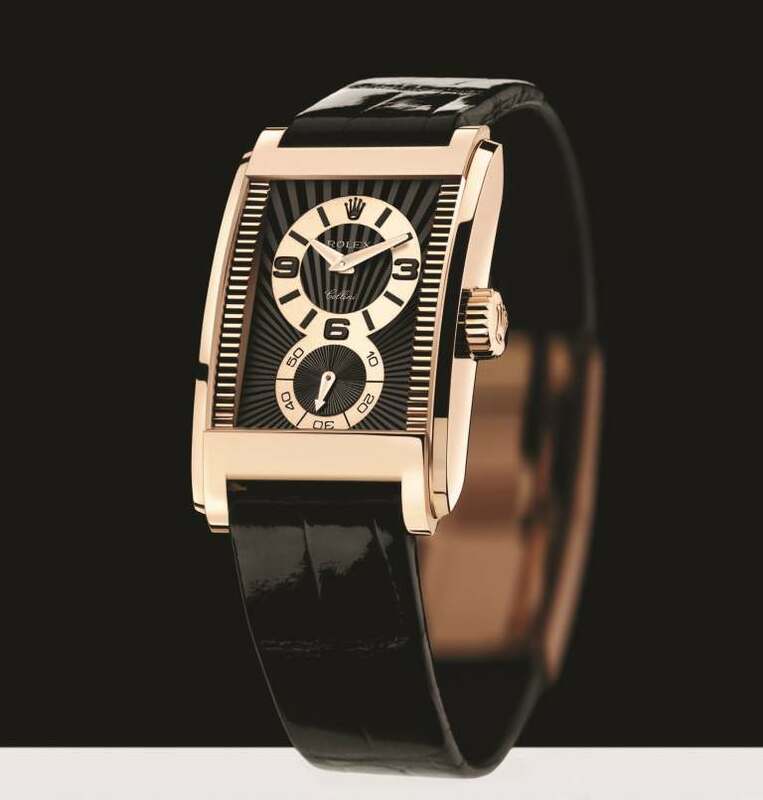 Origins of this watch can be traced back to roaring 20s. In 1928, Rolex created the Prince, which achieved great success and earned a place in horological history for its chronometric precision. 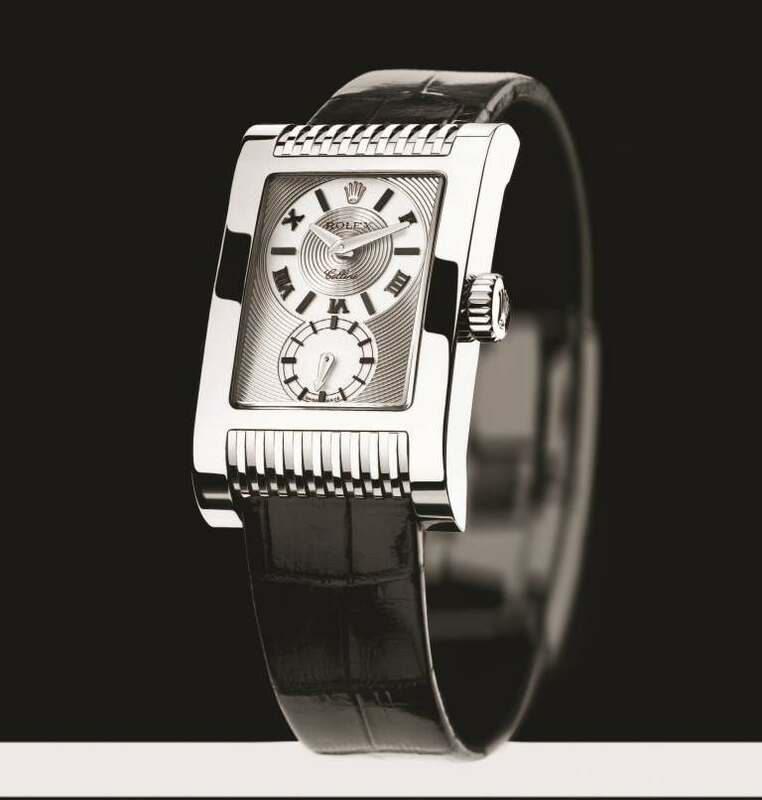 This Art Deco inspired rectangular timepiece was a popular dress watch during its time. However, Rolex ceased the production of Prince watch models in the late 1940s. With its avant-garde rectangular shape and the outstanding performance of its movement, the Prince is a watch of distinction. The unique positioning of the hands on two separate counters, one for hours and minutes and the other for seconds, was patented by Rolex. 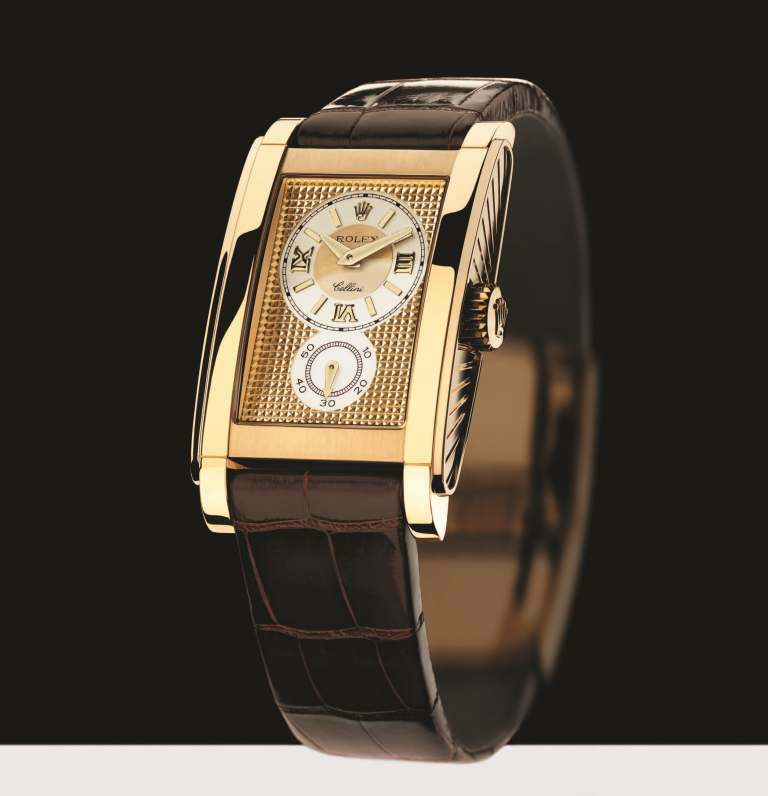 In 2005, Rolex re-launched the Prince watch collection in four different models with in the Cellini collection. The Rolex Prince collection reflects the art of watchmaking at its best as much as design in its purest sense. It is both a precise mechanical instrument and an achievement in aesthetics. It exemplifies aesthetic consistency among the movement, case and dial. Born of a team effort bringing together Rolex’s world-class designers and technical experts specialising in the movement, case and dial, it meets the demands of exquisite beauty and optimal performance. Unfortunately, in 2015, production of the Cellini Prince watch was ceased by Rolex. The new generation models available in the market belong to the Cellini Prince collection introduced in 2005 and produced till 2015. This Prince watch introduced in 2005 houses a manual-wound mechanical movement – the 7040 calibre – specially developed and manufactured by Rolex. Rectangular in shape, it uses all the space to ensure precision and performance and to give free rein to the decoration of the bridges with designs identical to those on the dial. The movement is equipped with a new shock-absorbing bearing, the Paraflex, an essential component for the reliability of the product. COSC-certified as a Swiss chronometer, it features a 72-hour power reserve. On the dial, hours and minutes are displayed separately above the seconds. The guilloche decoration on each timepiece requires high technology and a redefinition of the art of watch decoration. Guilloche decoration is an art and will always remain an art. The various patterns – “godron”, “clou de Paris” and “rayon flammé de la gloire” – each give the dial a unique look. Crafted from gold (Models available in 18 ct yellow, white or Everose gold), the rectangular shaped case looks like a fuselage. For the first time, a Rolex movement is on show. A transparent caseback reveals a guilloche decoration on the movement echoing that on the dial. The leather strap has been fitted with a gold butterfly clasp, giving the watch perfect balance. The Rolex Prince Ref. 5441/9: In 18 ct white gold features a silver “godron” dial, two displays, Roman numerals and simple markings. The Rolex Prince Ref. 5440/8 : In 18 ct yellow gold features a champagne “clou de Paris” dial, two displays, Roman numerals on the hours and minutes display and Arabic numerals on the seconds display. The Rolex Prince Ref. 5442/5: In 18 ct Everose gold features a black and pink “rayon flammé de la gloire” dial, and Arabic numerals on both displays which join in the centre. The Rolex Prince Ref. 5443/9: In 18 ct white gold features a black and silver “rayon flammé de la gloire” dial, two displays, Arabic numerals, simple markings and red minute markings.